QuickBooks can help you write a white-paper business plan. People often write a white-paper business plan when they know that they need a strategic plan but don’t want to make the hard decisions necessary for a strategic plan. The person in this conundrum writes a lengthy white-paper business plan to camouflage the absent strategic plan. You really should write a strategic plan before you write a white-paper business plan. A strategic plan, by the way, doesn’t need to be more than a page or two in length. In fact, the hard part of a strategic plan isn’t in the writing, but in the sacrifice: giving up certain categories of opportunities, markets, and tactical approaches that may be comfortable or familiar. Obviously, you can’t write a good white-paper business plan — or at least one that’s based on a sound strategy — until you have a strategic plan in place. Perhaps the most important thing to know when you write a white-paper business plan is this: This process is well documented in a bunch of other places. 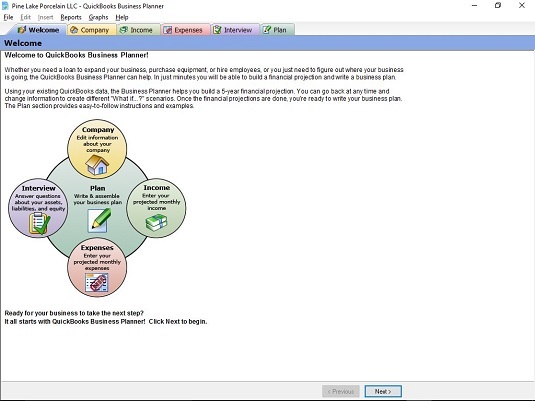 If you have QuickBooks Premier or QuickBooks Enterprise Solutions, you can choose the Company→ Planning & Budgeting→ Use Business Plan Tool command to start a wizard that steps you through the process of writing a white-paper business plan. Here is the first page of the QuickBooks Business Planner. You can use the wizard to see what it does. The first page of the QuickBooks Business Planner. You can also get detailed information on writing a business plan in both English and Spanish from the US Small Business Administration (SBA) website. Here is the home page of the SBA website. You’ll find this page easiest to get to (because all you need is the domain name), so you may want to start your exploration of the SBA’s business planning resources here. The home page of the SBA’s website provides general planning information. 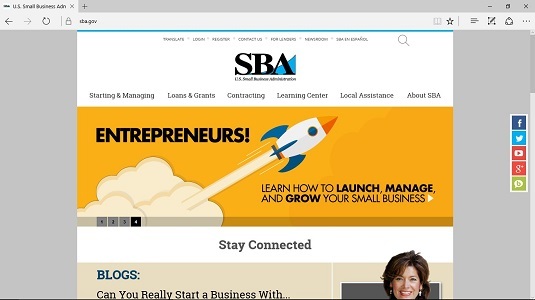 If you click the Starting & Managing link and then choose Create Your Business Plan in the list of links displayed, you see a page of information that the SBA website offers about writing a business plan. It provides links to additional pages of detailed information about the process of writing a business plan, such as a page that provides advice on doing strategic planning and a page that supplies step-by-step instructions for the actual work of writing your plan. 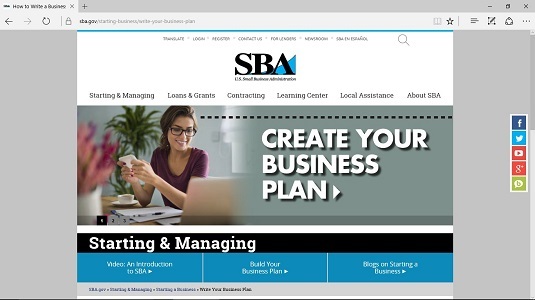 The Create Your Business Plan page of the SBA’s website provides links to all sorts of useful resources. These business plan templates provide very good starting outlines, so don’t be misled into thinking that something that Microsoft has provided for free to Word or PowerPoint users is in some way inferior to what real businesses use. Microsoft has done an excellent job of showing what information belongs in a white-paper business plan. Most white-paper business plans and new-venture business plans require a pro forma financial forecast. Typically, in a hard-copy printed business plan, you include such a forecast. After you create a good, solid strategy and at least a rough white-paper business plan, you may also want to create a new-venture plan.